Welcome to Driiv Autosport Import & Domestic. You've found our Air Filters & Air Intake Kits For Import Vehicles page. 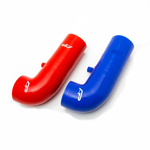 We offer a wide variety of air filter elements, cold air intake kits and various other intake accessories and hardware. Shop with confidence, you're covered by our 100% satisfaction guarantee!